Topics: Charley Biggs Chicken, Catalog, and Income Builders. 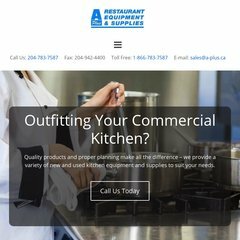 a-plus.ca KITCHEN GUIDE - Fax: (204) 942-4400 Toll Free: 1-866-783-7587 E .. It is hosted by American Registry For Internet Numbers (Virginia, Chantilly,) using Apache web server. There are 2 Nameservers, dns2.mts.net, and dns1.mts.net. Its IP Number is 69.49.101.71. PING www. (69.49.101.71) 56(84) bytes of data.